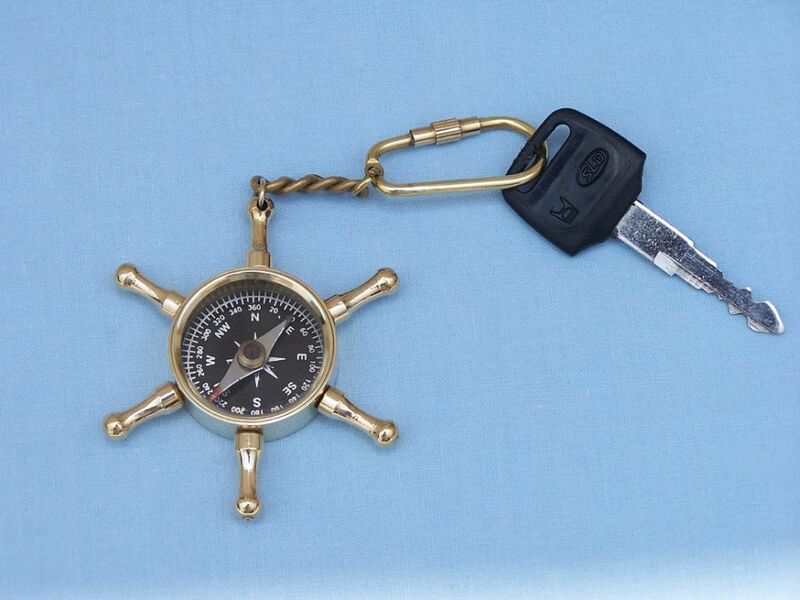 This nautical-themed key chain, featuring a ship helm wheel with compass key fob, is both adorable and functional. Crafted from solid brass, this key chain is as beautiful as it is durable and functional and a knurled knob allows you to easily and securely add or remove keys from the ring. These wonderful key chains make ideal gifts for all. 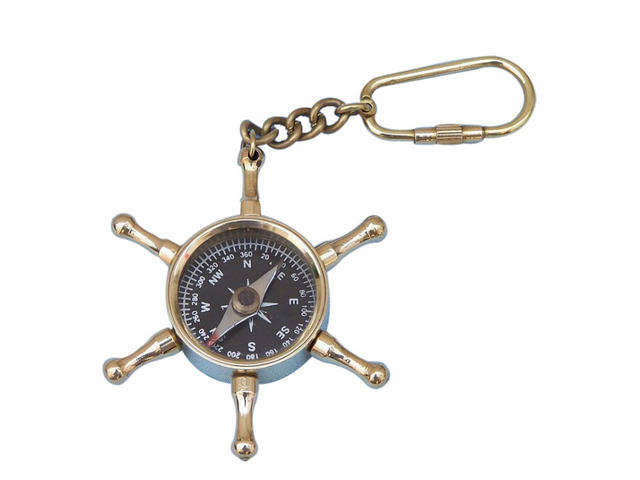 A talisman of legend, the ship wheel, gracefully portrayed in this nautical keychain, has provided sailors and nautical enthusiasts alike with superstition, awe, and even hope. 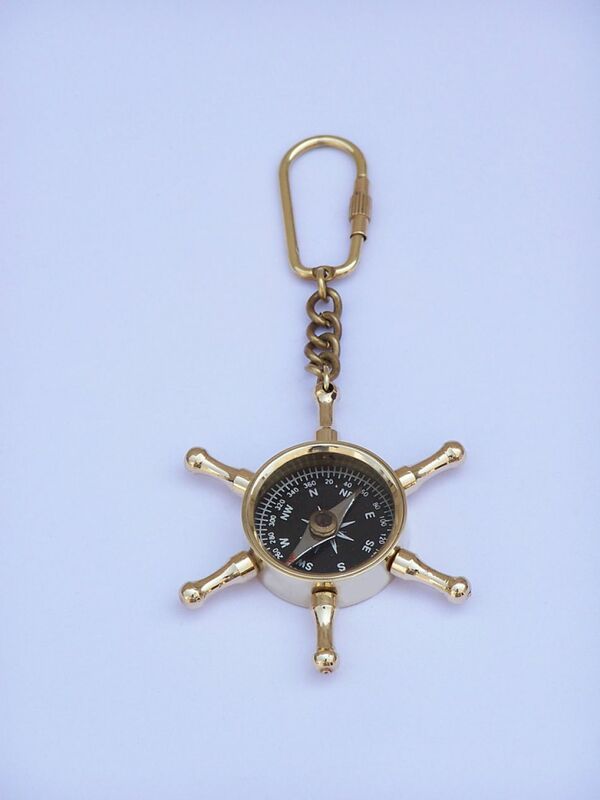 As the perfect gift for one whose heart belongs to the sea, these brilliant nautical keychains depict a powerful symbol from the depths of sailing lore. 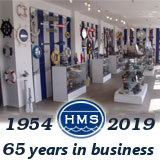 From the time of its inception, circa 1700 England, the ship wheel has come to stand for a great many things. Sailors often wore a small ship’s wheel on a necklace for luck, guiding them home safely through even the roughest seas. Others viewed the ship wheel as a sign of power, as it was the captain’s duty to guide the ship, or as a symbol of one still searching for a port to call home, enjoying too much the freedom of being at sea. Present one of these shining brass key rings to the captain or sailor in your life and show them you understand the deep history behind it, or give this nautical keychain as a beacon to someone you wish to guide to safe haven. 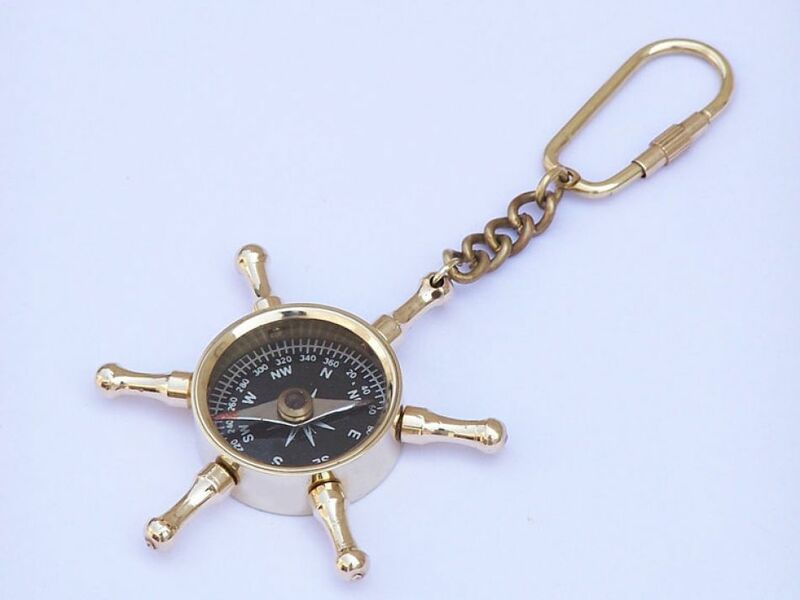 An enduring symbol of the triumphs, tribulations, and hopes and dreams of the thousands upon thousands of sailors who have traveled the seas, this nautical keychain is a true homage to the wonder of the ocean deep.